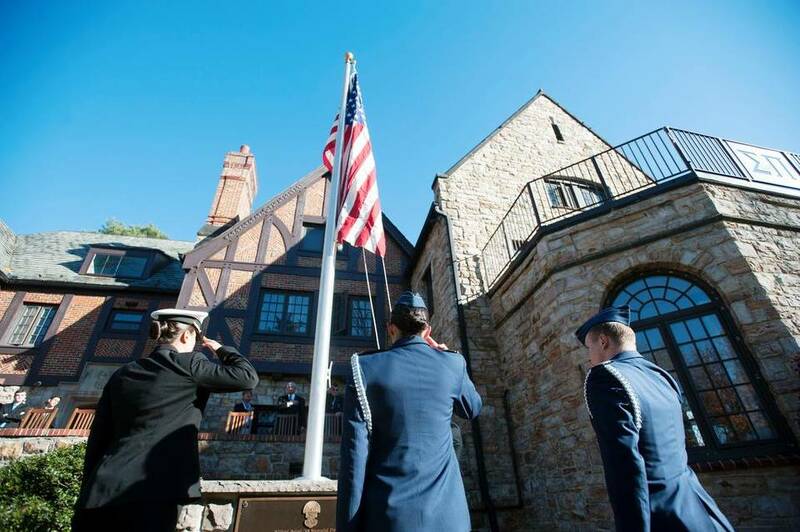 ethics as part of the conference’s focus on “Military Ethics: Past, Present, and Future”. future MIDN who wishes to grow more deeply in their own leadership development. The rain couldn’t put a damper on the MIDN and our fantastic alumni’s spirits this past weekend! 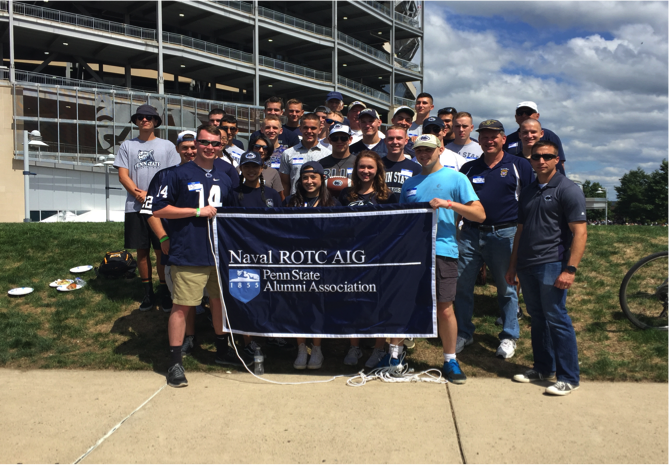 The PSU NROTC Alumni Interest Group (AIG) expressed their generosity once again for our unit on Saturday, the 2nd of September, 2017 with their annual tailgate in honor of the current MIDN here at Penn State! Despite the rain, it was all smiles for our alumni and MIDN alike, as the new 4/C’s got a chance to hear stories from MIDN past, and 1/C MIDN chatted excitedly with eager veterans and active duty sailors and marines about their impending commissioning. 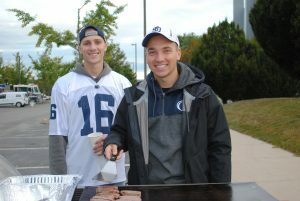 The food was great and and Penn State football took their first win of the season!! 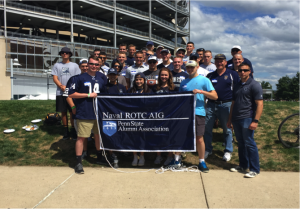 The Penn State NROTC Battalion is largely involved with the community. 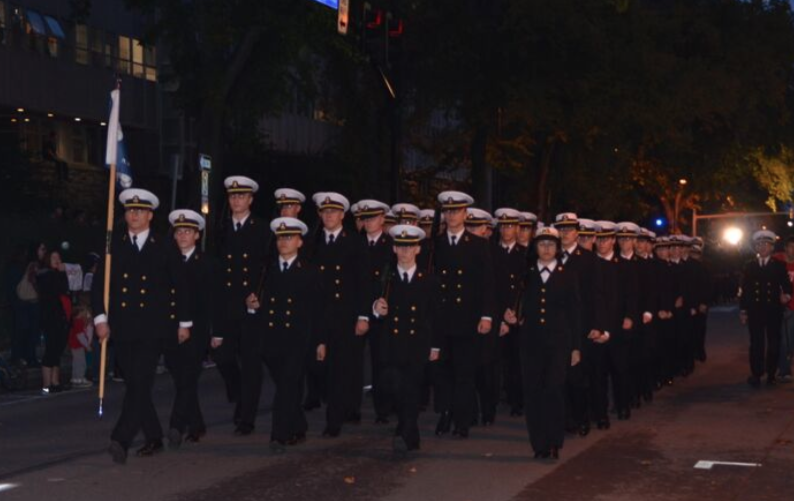 We participate in various community service events and volunteer for many parades and marches, especially during the week leading up to Veteran’s day. 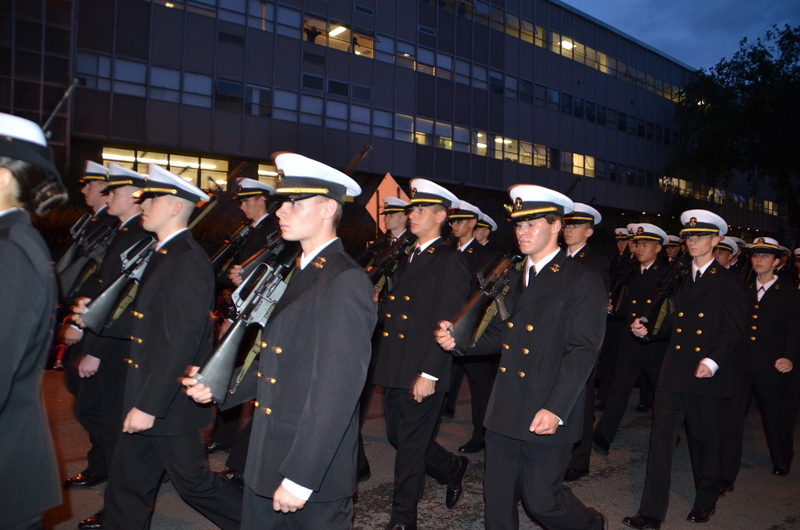 It is important midshipman understand the value of giving back to the community and are encouraged to volunteer as much as they can. 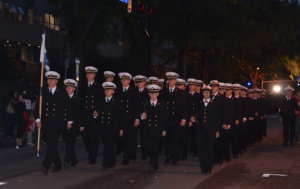 As future Naval and Marine Corps Officers, they will be expected to put others first and volunteering in community events is a big step towards achieving that. On Thursday 6 October, the battalion kept up its annual participation in the Day of Caring where the midshipmen give time out of their day to service their community. 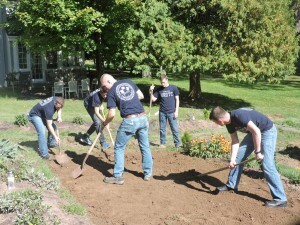 Some of the service work included clearing trails, building stages, and developing a garden area on the Boal Mansion’s estate. 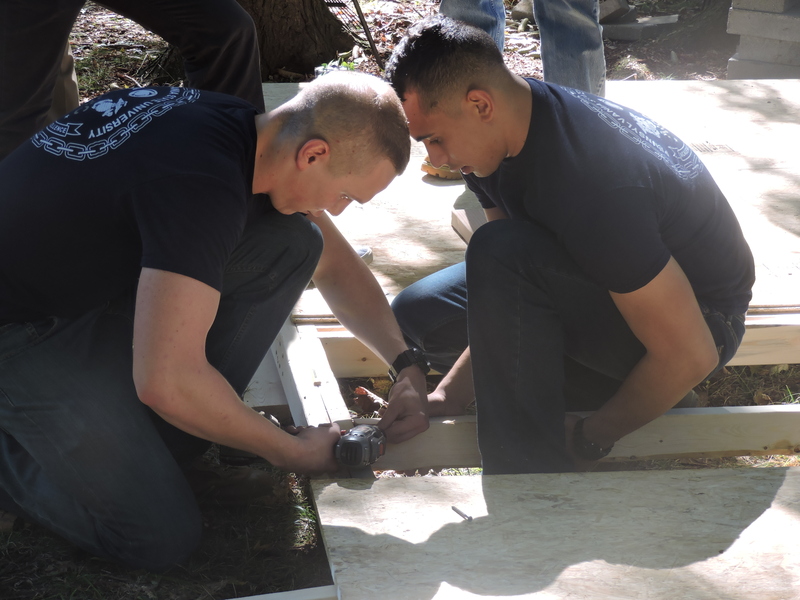 Some midshipmen were sent to Boy Scout Troop 380 to lend a hand on various tasks, including help in the construction of a log cabin. 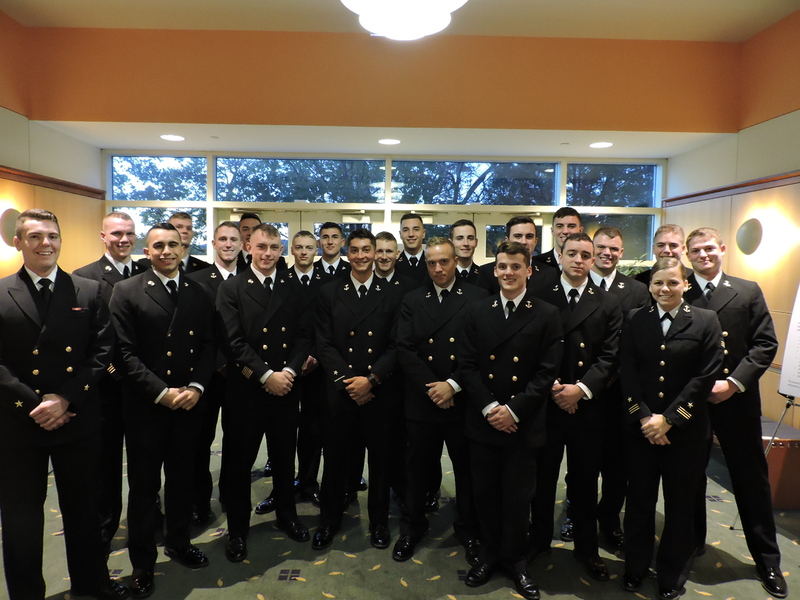 Several midshipmen were able to attend a dinner sponsored by the Navy League of Centre County where LT Michael Murphy Distinguished Citizen Award was presented to an outstanding community member. 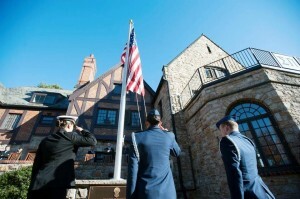 We were honored to be among guest that included Daniel Murphy, Col Tom Manion, USMC (Ret. ), and the awardee, Tom Cali, as well as being joined by former MOI, Major John Fulton as the emcee. 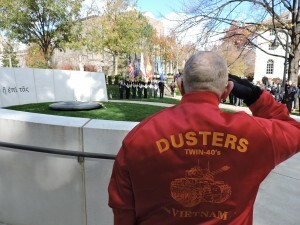 The University held various events leading up to Veterans day on November 11. 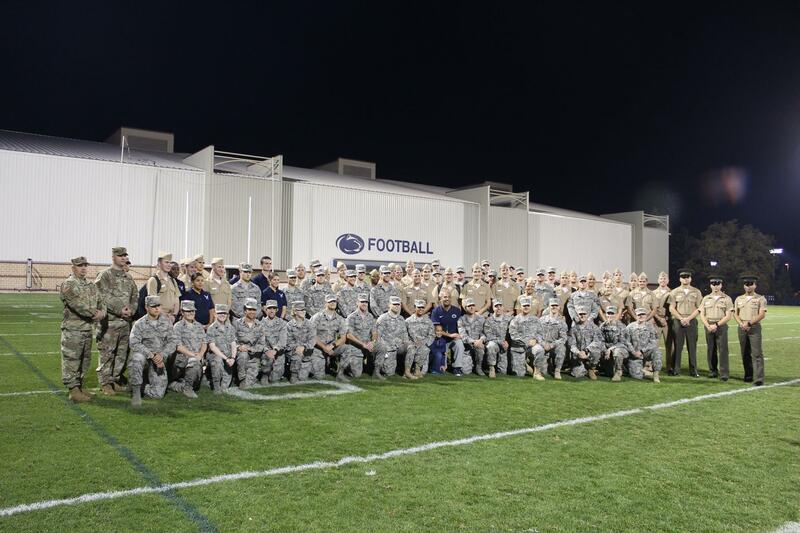 The football military appreciation game vs Iowa was approaching and Coach Franklin invited the ROTC Battalions to join him at practice to show his respect. 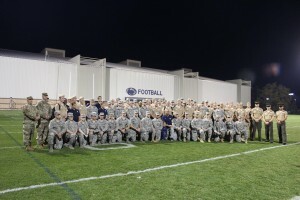 Midshipmen and cadets of all branches were invited into the football program’s Lasch Building and received the opportunity to tour the iconic building and meet with Coach Franklin and the players after practice. 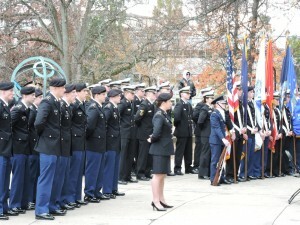 The NROTC Battalion provided a formation of midshipmen as well as a tri-service Color Guard to march in the ceremony. 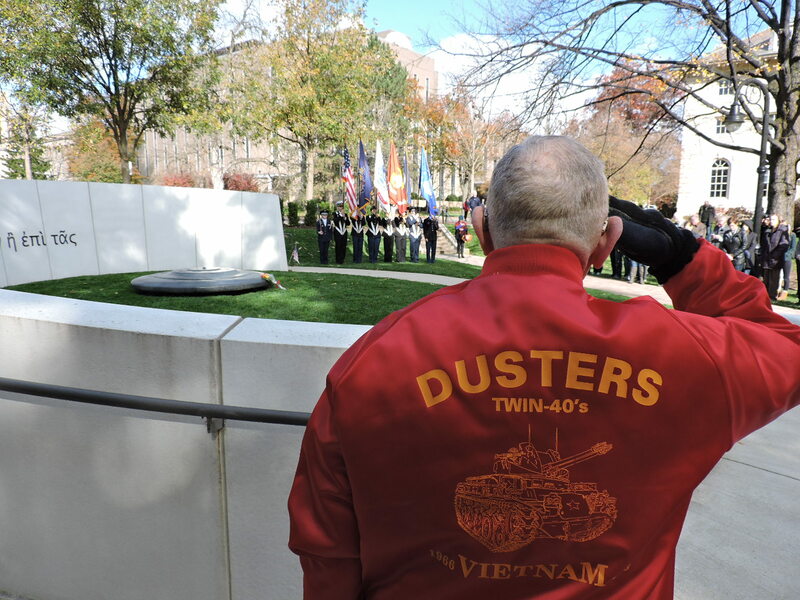 The midshipmen and cadets stepped off from Wagner Building and made stop at the Lt. Michael P. Murphy Veterans Memorial to show their respect and honor for those who answered the call to serve. The ceremony ended with a formation at Old Main where midshipmen and cadets stood at attention while various speeches were given honoring the veterans who have served to protect us. It has been an eventful few weeks in the Penn State Naval ROTC Battalion. 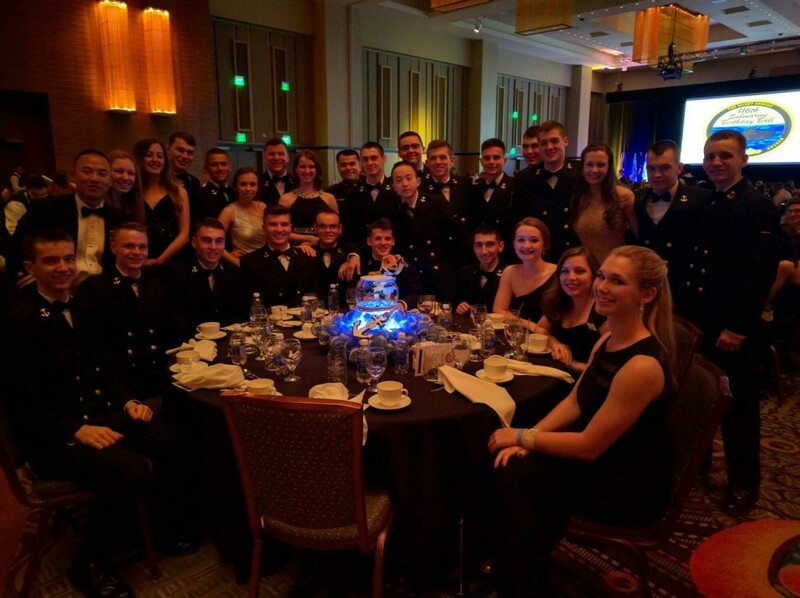 Midshipmen attended the Groton, CT Submarine Ball (pictured above), as well as received awards during the Penn State Tri-service award ceremonies. 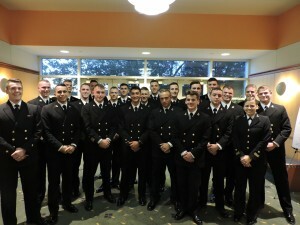 Awards ranged from local to national level awards, presented in a Schwab Auditorium ceremony held on the 7th of April. 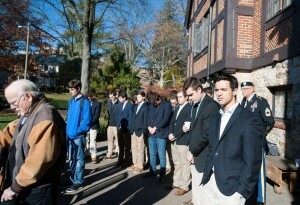 The awards week culminated in the Senior Dining in. 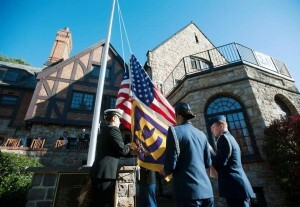 This event is a celebration of the Senior class’s time in the Battalion. 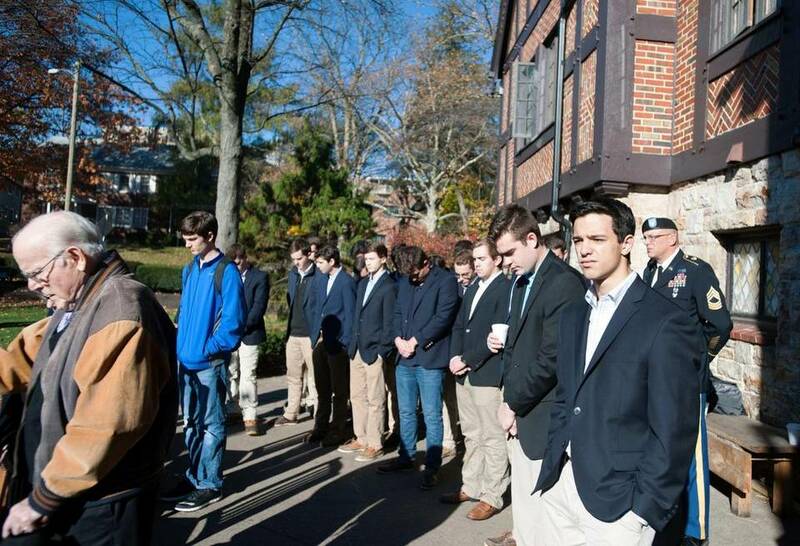 It was an overwhelming success, filled with laughter and merriment. 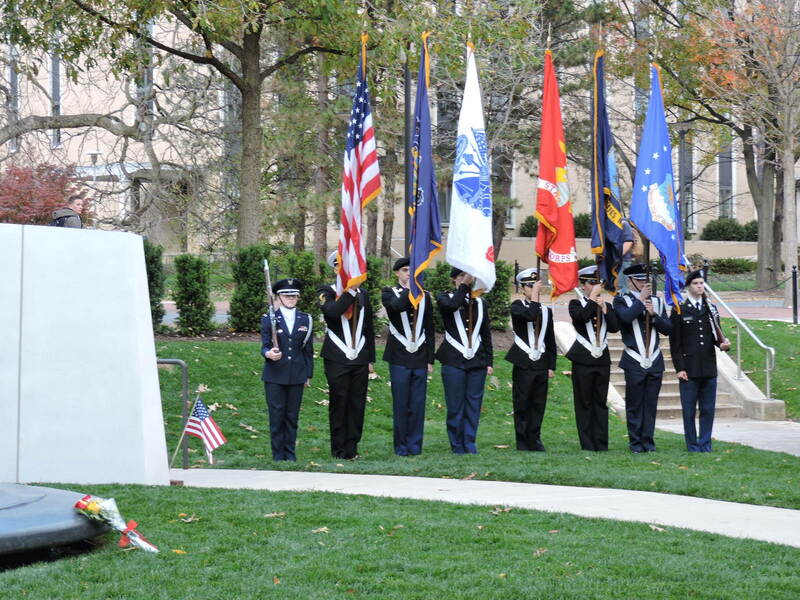 Now, the Senior class refocuses on their remaining goal: successful commissioning. 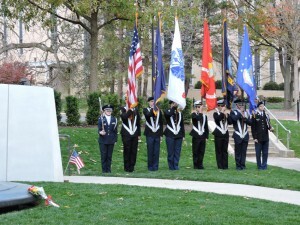 The Penn State men’s lacrosse team held a military appreciation game on March 19th for the NROTC battalion. 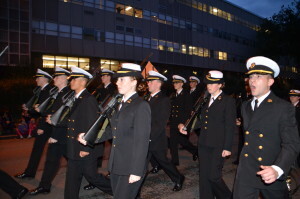 The Midshipmen were included in halftime events, including shoot-around. 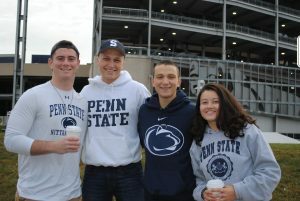 Penn State fell to U Mass 9-11, dropping their season record to 5-3. 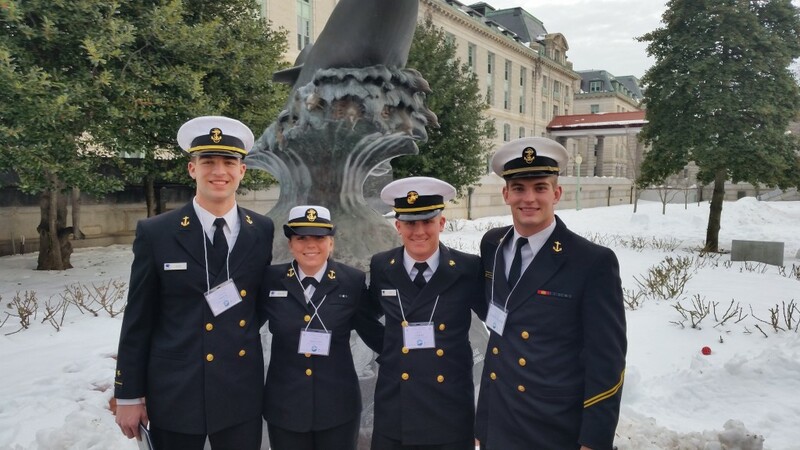 Penn State NROTC Midshipmen visited the Naval Academy for their annual leadership conference from January 24-26. 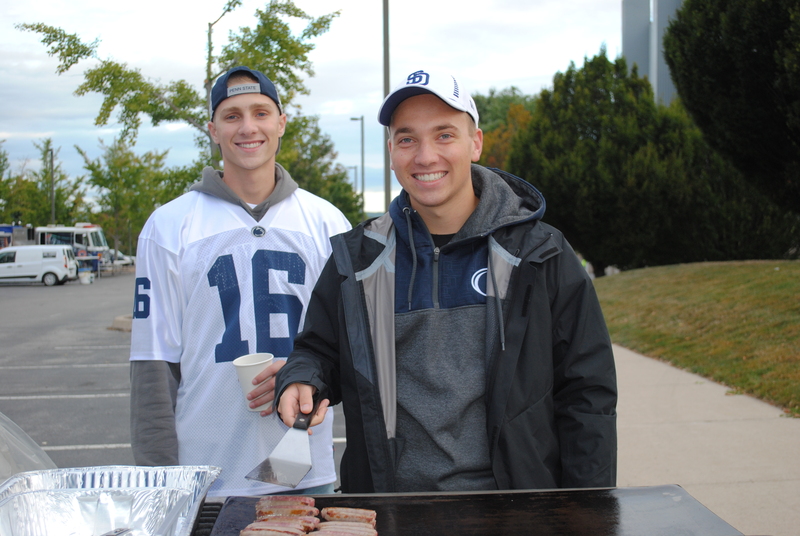 This year’s theme was cultivating relationships. 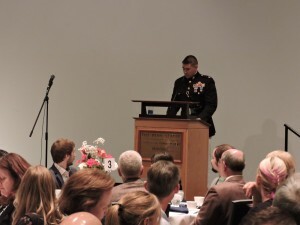 Notable speakers included Former Deputy director of the NSA, John Inglis, and former Vice Chairman of the Joint Chiefs of Staff Admiral James Winnefeld. 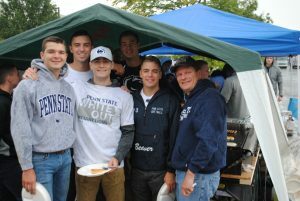 Penn State attendees included the battalion executive officer and the battalion operations officer. The Penn State Class of 2019 Fall Basic Team participated in Penn State’s Homecoming Parade. 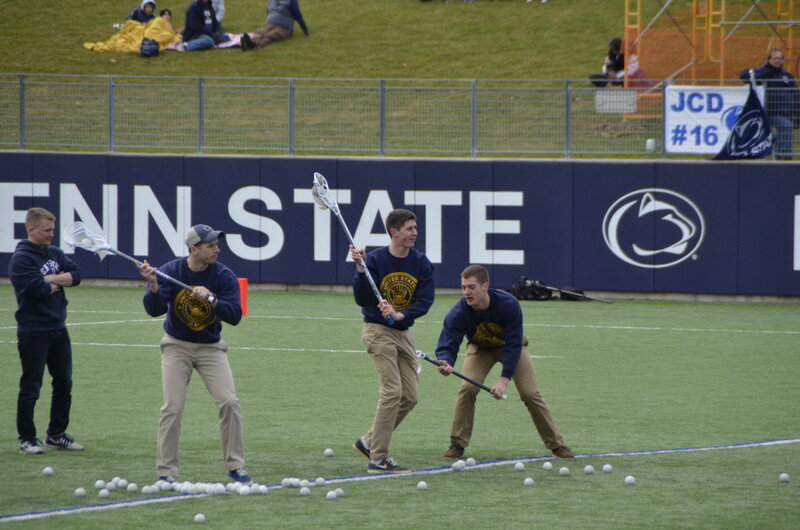 This was an exhibition of the drill work that the freshmen have learned in their time so far at Penn State and a direct reflection of the hard work done by the upperclassmen midshipmen who led the team.